What Makes QT Sound Control Sustainable? Made from 92 percent recycled tire rubber, the QT brand of products provides an environmentally responsible solution for quality sound control by using and reusing industrial and post-consumer waste. Ecore International, manufacturer of QT Sound Insulation, is committed to using resources wisely to protect the environment. As North America’s largest user of scrap tire rubber, ECORE converts more than four million tires annually to create recycled rubber surfacing and underlayments. While ECORE accepts responsibility for its products and processes, it also offers third party certification information as a testament to the company’s quality, environmental standards, and product safety. 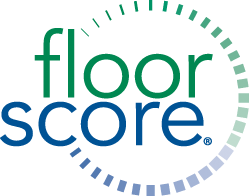 QT Sound Insulation is FloorScore certified. The FloorScore program was developed by the Resilient Floor Covering Institute (RFCI) in conjunction with Scientific Certification Systems (SCS), which tests and certifies flooring as well as flooring insulation products, and confirms production facilities compliance with rigorous indoor air quality emission requirements. Individual volatile organic compounds (VOCs) are evaluated using health-based specifications. Flooring products that earn FloorScore certification qualify for use in high performance schools and office buildings. QT rubber underlayments can also assist specifiers by potentially contributing toward earning 8 LEED points, making them a preferred choice for nearly any sound insulation application. Many interior products have the potential to contribute points to LEED®; but, since credits are based on the performance of all the products involved in a particular project, there is not one stand-alone product that can guarantee you will obtain LEED credits. It is the combination, and the weight of each, that is critical. QT Sound Insulation is designed to meet the stringent criteria required to help earn points under 2 of the 6 categories of LEED. 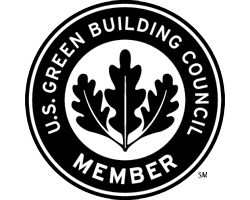 Based on these criteria, QT products can assist specifiers by potentially contributing toward earning up to 8 LEED points in Building Design + Construction and Interior Design + Construction, 5 LEED points in Building Design + Construction: Homes/Midrise, and 3 LEED points in Operations + Maintenance. For more information on how QT Sound Insulation can assist in contributing toward earning LEED credits, download the QT Sound Insulation LEED guide. QT has gone through the rigorous EPD process, including a comprehensive life cycle assessment according to ISO 14040 standards. Our EPDs were prepared by SCS Global Services based on the NSF International Product Category Rule (PCR) for Flooring: Carpet, Resilient, Laminate, Ceramic, Wood. Following completion, our EPDs were externally verified by FFK LTD as conforming to the requirements of ISO 14025:2006 and ISO 21930:2007. This also meets LEEDv4 requirements. QT’s EPD can be downloaded here or on SCS Global Services’ Green Product Guide. Health Product Declarations (HPDs) disclose the potential hazards associated with a building product ingredient. HPDs were created by the Health Product Declaration Collaborative, whom established the Open Standard which consists of a defined format and rules for reporting. QT’s HPD can be downloaded here. As an advocate for sustainable design and eco-friendly living, ECORE has developed Redeux, a material reclamation program, to further our commitment to reducing waste, reusing scrap, and recycling old products and samples in order to manufacture new products. Recycled rubber and cork products from these ECORE brands may apply: ECOsurfaces Commercial Flooring, Everlast Fitness Flooring, QT Sound Insulation, PlayGuard Safety Surfacing, Pavesafe, and ECORE Industrial products. Material id accepted on a case-by-case basis. 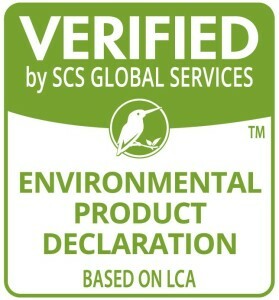 Please visit ecoreintl.com to see ECORE’s guidelines and requirements for the reclamation program. Another factor contributing to ECORE’s sustainability is that QT products are made in the U.S.A.! The result: not contributing to the environmental impact of transcontinental shipping, which includes greenhouse gas emissions and oil pollution. 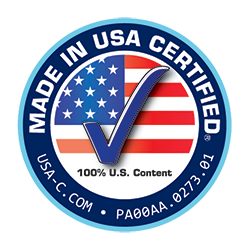 More specifically, QT is Made in USA Certified,® the nation’s leading third party independent certification source for USA-Country of Origin claims. To become certified, the QT certification process included an in-depth supply chain audit to verify what percentage of the product, from raw materials to packaging supplies, is sourced and processed in the U.S.A.
nce the audit was complete, Made in USA Certified awarded a specific seal, certifying the percentage of components that are assembled and manufactured in the US. The various levels of certification range from 51 percent to more than 100 percent. 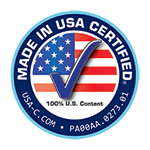 ECORE’s QT Sound Insulation was certified 100 percent Made in USA, meaning that 100 percent of the product’s components (value) and 100 percent of the product is assembled and manufactured in the U.S.